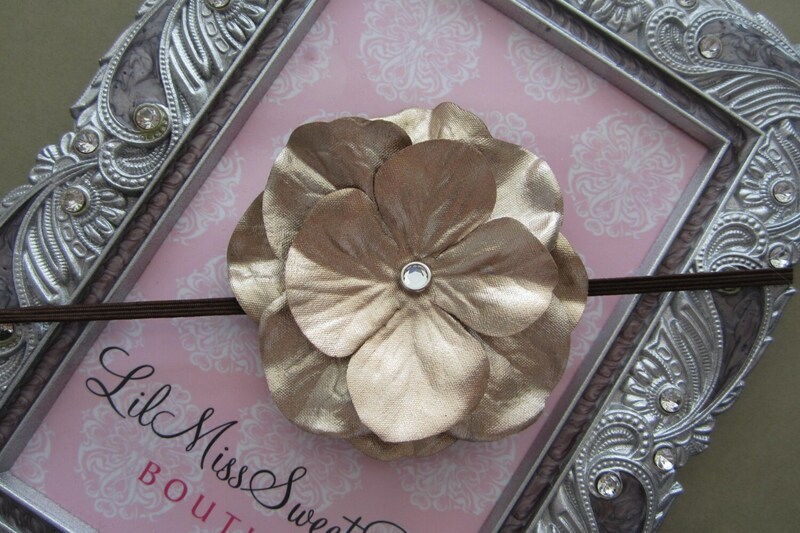 Style Headband Newborn 13" Headband 6M-Teen 16"
Crayola gold colored flower on a dark brown skinny elastic headband, perfect for fall for all ages, for newborn photo shoots to adults. Choose your size on checkout. Flower is 2.75 inches. This would be adorable on a newborn, the flower is a perfect size and has 3 layers of petals for just enough height. Elastic is our soft stretch 18 inch elastic and has lots of stretch so it will be very comfortable. such a sweet & unique style.